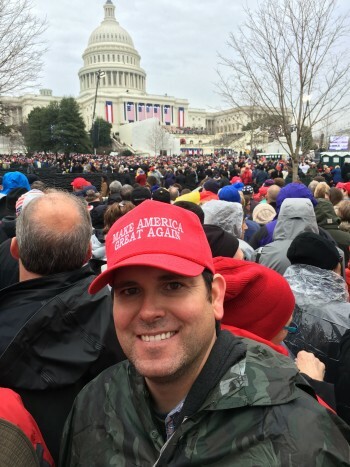 Jason White, a 37-year-old Dentist from Lubbock Texas, was in Washington DC for the presidential inauguration and decided to have lunch at a local eatery. Busboys and Poets, a restaurant known for its artwork and books and named after a famous Langston Hughes poem usually attracts a liberal clientele and people of color. White removed his “Make America Great Again” hat before entering the diner and sat down to a nice lunch with his companions. 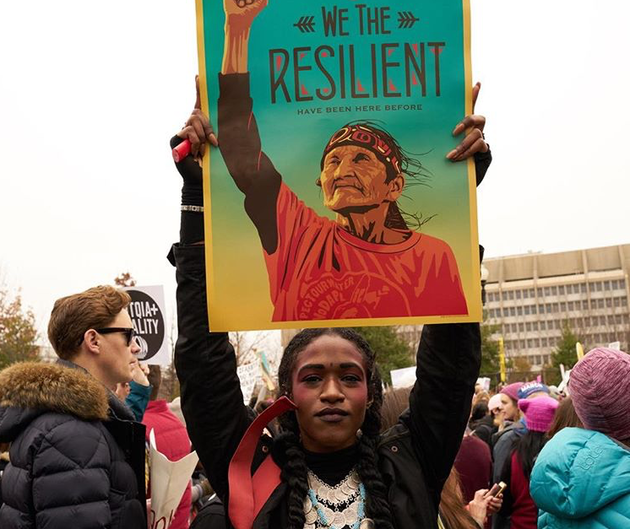 The table was served by a young African American waitress, Rosalynd Harris, who had attended the Women’s March on DC just the day before. White and Harris exchanged small talk and discussed briefly their separate experiences in the nation’s capital over the course of the last few days. Upon finishing their meal White and his companions got up and quietly left the restaurant. It was only after they left that Harris discovered that the $72.60 tab was not only paid but complimented with a whopping $450 dollar tip. 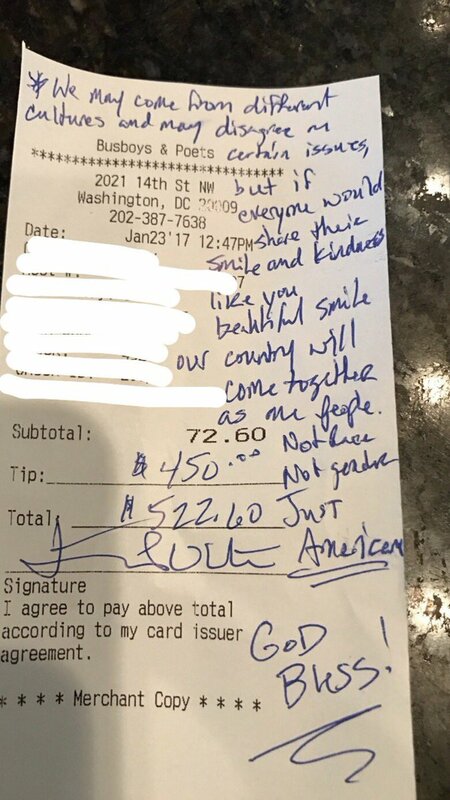 Written on the receipt, a note from White that read, “We may come from different cultures and may disagree on certain issues, but if everyone would share their smile and kindness like your beautiful smile, our country will come together as one people, Not race. Not gender. Just American.” Then he added, “God Bless!” For obvious reasons the event has gone viral, sparking interest both in Republican and Democratic camps.